HFE documented 70 separate fire points of origin in this study, with 37 of the fires having known perimeters. The smallest fires are less than one acre in size, while the largest with a known point of origin is over 38,000 acres. Icons delineate the fire’s cause, use the maps legend for clarification. 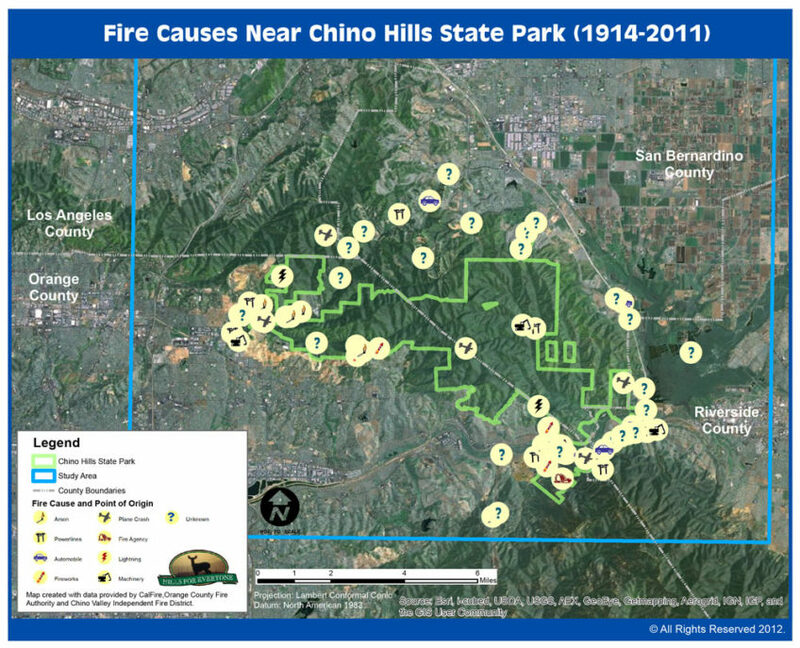 Download the Fire Causes Map as a PDF.